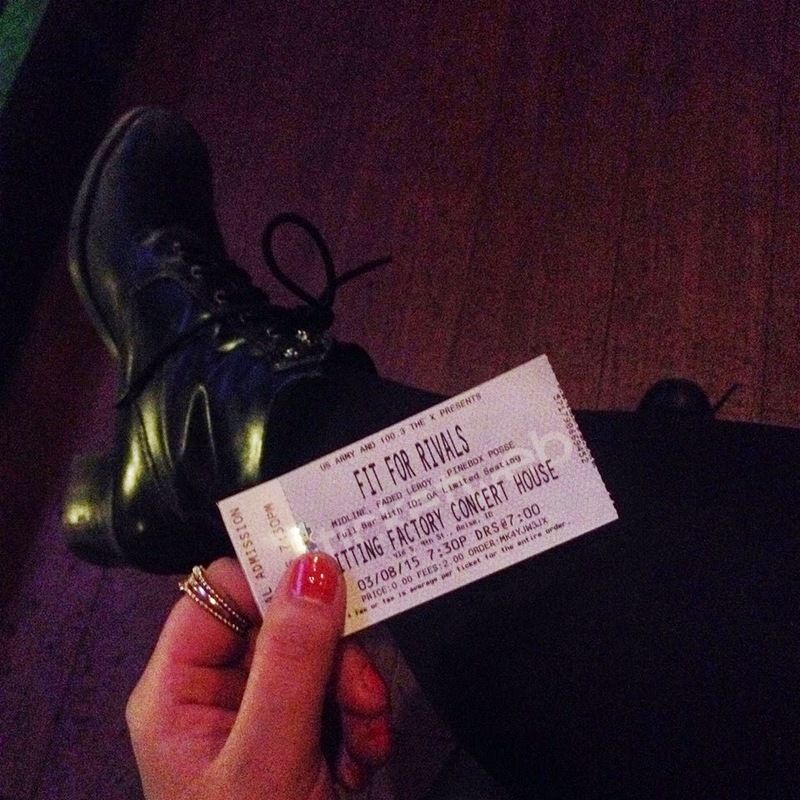 I listened to precisely two songs on the way to this concert to discover Fit for Rivals and decide that I liked them. After watching them live, I've decided I love them. 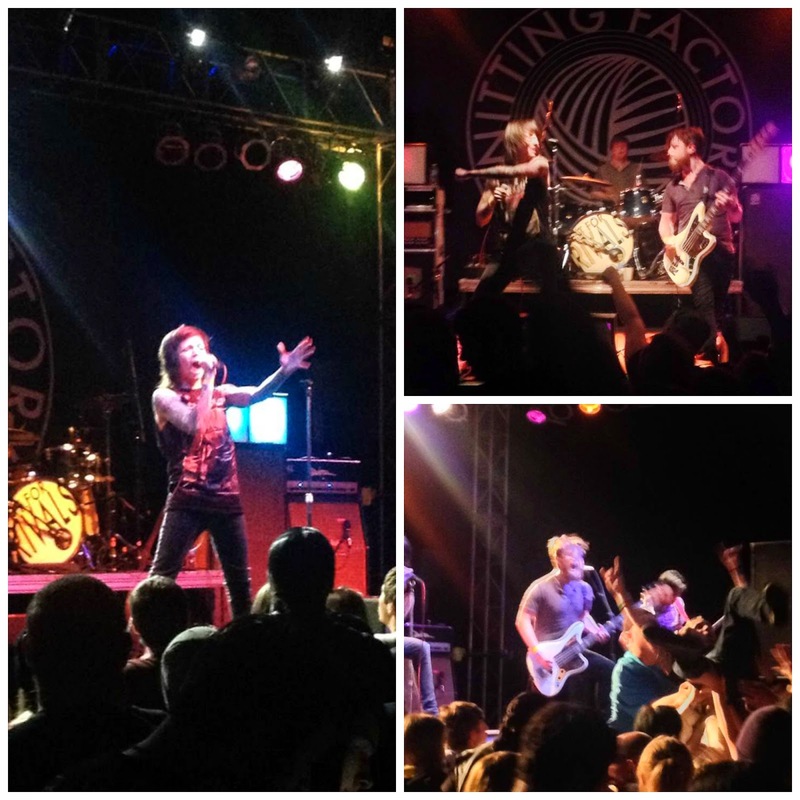 My friend, Lil Rocker Ruth, came to Boise to visit and check out a rock concert going down at the Knitting Factory. While I agreed to meet with her and hang out, I hadn't planned on going to the show with her. However, as the night rolled on, I decided the hell with it and bought my $2 ticket and entered the now-familiar venue with my friend. It was a relatively small crowd compared to what I'm used to, and fairly chill. Until the heavy rock bands came out...at which point, a mosh pit formed in the middle. I have to say, the smile on their faces as they shoved and rushed each other made the rough housing appear lighthearted, but towards the end of the third set, security was dragging out a limp body. Um...yeah. Pretty sure they were heavily intoxicated, but still. Ruth and I stayed on the periphery and ended up having the best view of the stage and the crowd. I can already tell you we had some interesting people-watching going on! In the bottom right corner of the collage above, you can see the crowdsurfer who almost got to the stage. Haha, security stopped him at the very front of course, but it was still cool to see how far he got! 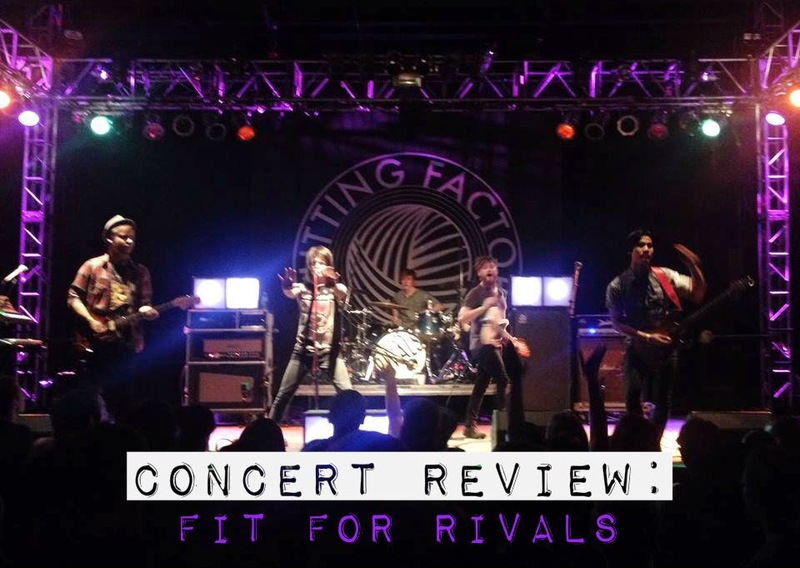 Finally, the headlining act of the show took the stage, and Fit for Rivals finished off the night spectacularly. They're a decidedly more rock sounding group than, say, Against the Current. Renee has such a strong, raspy voice that fills a room and gets a crowd pumped. Also, to my delight, I discovered that their lead guitarist, Rufino, is Filipino. So, Pinoy pride, you know. 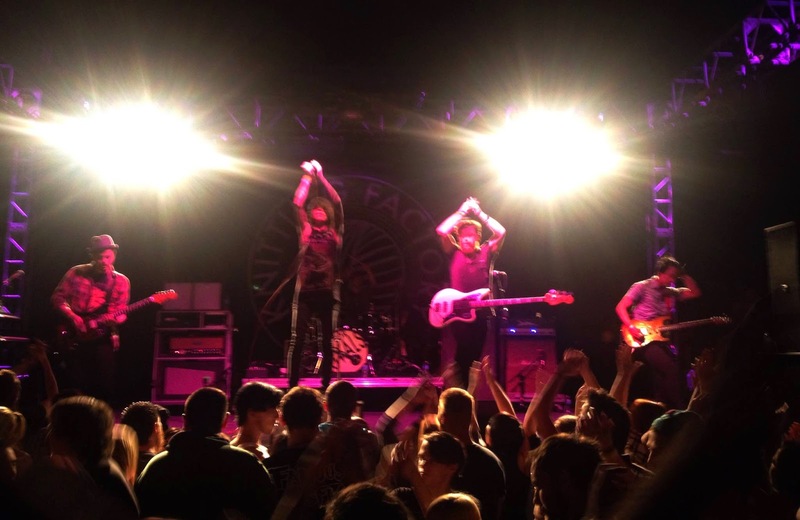 Take a listen at the end of the post to their new single, Freak Machine! After the show, Ruth and I went to the merch table, and I snagged a poster along with all their signatures. 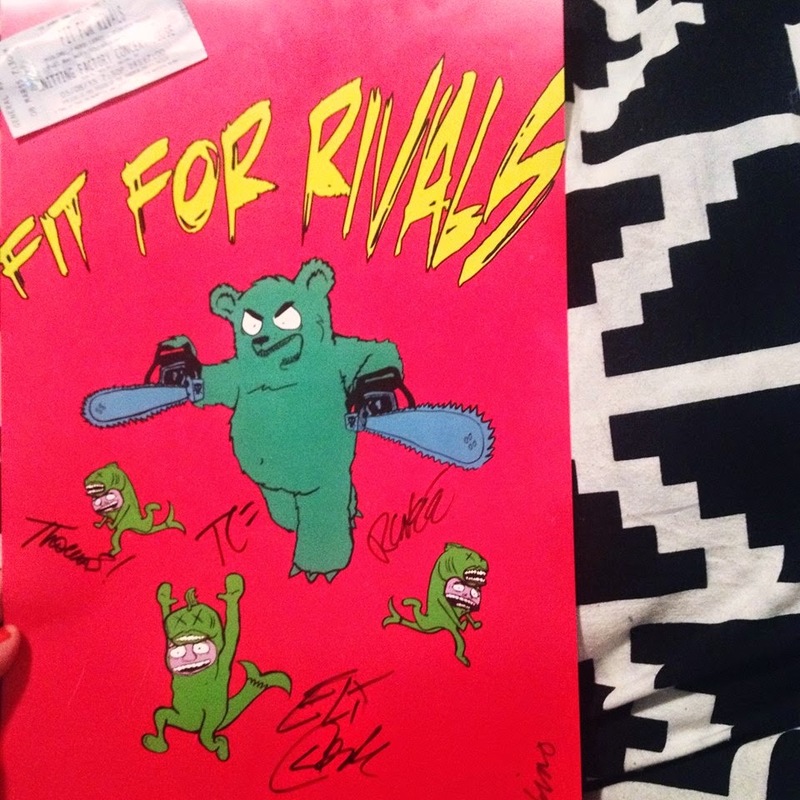 I can't stop giggling at the cartoonish bear with a chainsaw design...aha everyone else was grabbing the stereotypical band poster featuring all the members, but I figured I could find that anywhere. Who else has a poster featuring a maniac green bear swinging chainsaws in each hand? Well, for two dollars, what could have possibly gone wrong! And now you have discovered a new band! Looks like you had an amazing time there) I'm not a huge fan of such shows, because I'm afraid of the crowd and noisy places, but anyway I believe it was such a fun to be there! I always love reading reviews on topics bloggers are passionate about! I especially liked your Club W review because it was something you wanted to do on your own. Now, I'm inspired to do more non-sponsored reviews. Anyways, I agree that the the wine labels on those bottles are too cute. I don't drink since I'm not yet 21 (I think I'm an outlier on this at most colleges haha) but when I am old enough, I think I'd definitely prefer wine and champagne over the other stuff. As for the concert, I'm glad it turned out great! That's such an awesome deal for such a cool experience. 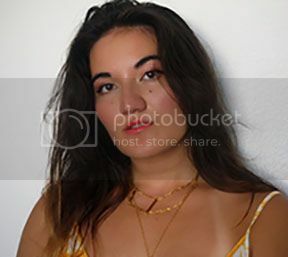 Their stuff is so edgy and rockin! Wishing you the best this week, Linda! Oh this looks like an awesome night.